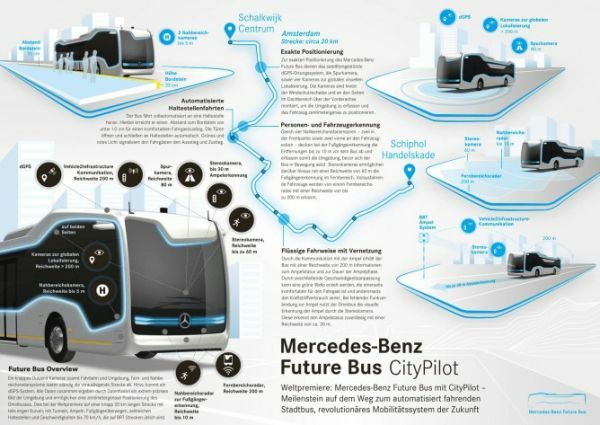 Future Bus is the new city bus coming straight from the vault of Mercedes-Benz. Unlike its previous autonomous semi-truck Actros that was targeted only for highways, CityPilot ridden technology bus is developed especially for an urban market. 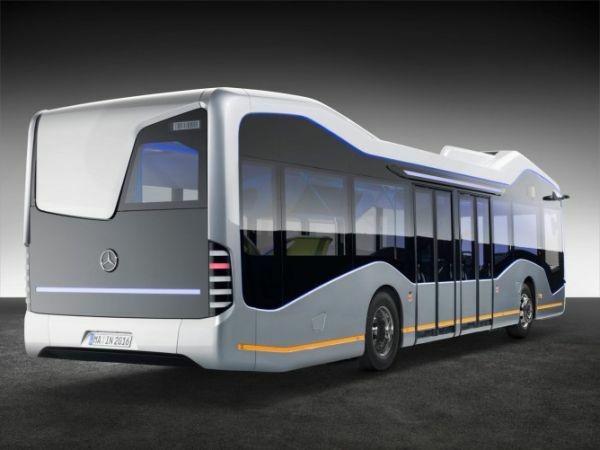 The German automaker has demonstrated that its self-driven bus is proficient enough of maneuvering through an urban environment stretching across a distance of 12-miles. 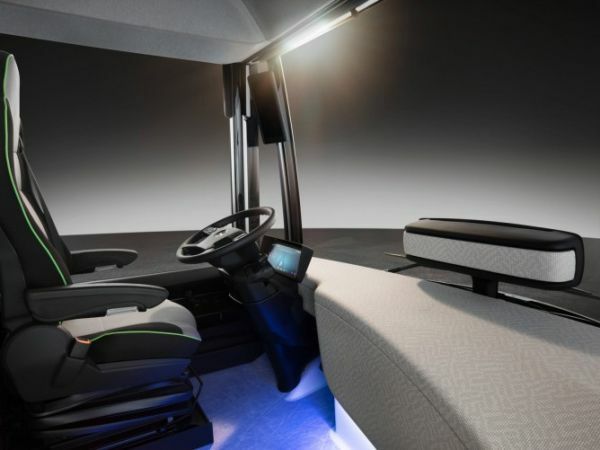 It’s been nearly a decade since Mercedes-Benz has been working on automated driving technologies and the current CityPilot technology too is based on Actros Highway Pilot, the autonomous technology that the automaker launched last Oct. 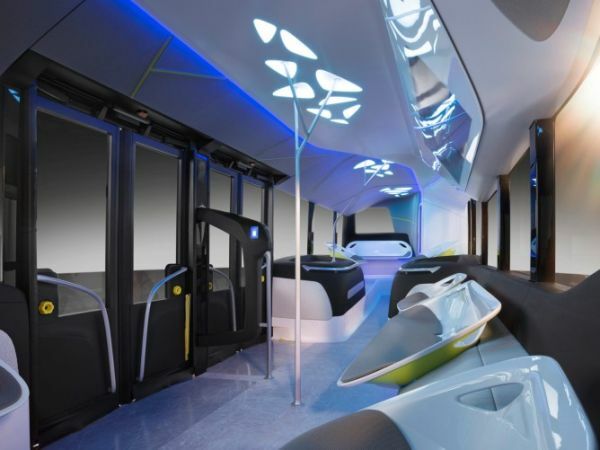 However, the technology has undergone modifications and customizations of course so that it can efficiently be used in a city bus. 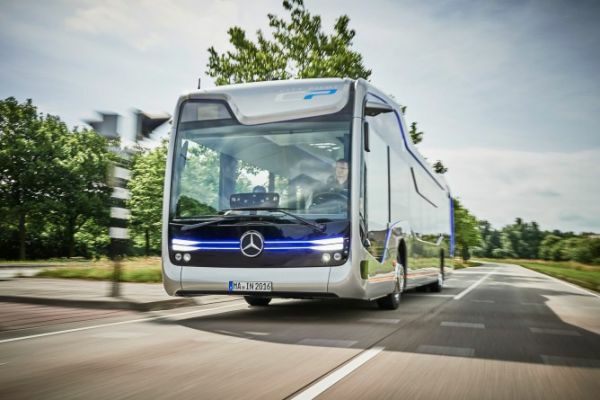 The autonomous bus is not only capable of identifying traffic lights but also interacting as well as maneuvering through junctions that are operated via lights. Like any automated driving technology, CityPilot uses sensors, cameras and radars to observe its surroundings including obstacles, pedestrians, slows down upon approaching any vehicle and drive through tunnels. The system enables for constant monitoring of the road ahead and the GPS allows for covering the exact route. After experimenting on the technology for a long time, the Future Bus made its first public appearance on Europe’s longest Bus Rapid Transit (BRT) route in the Netherlands. The bus completed 12-mile stretch starting from Amsterdam’s Schiphol airport to Haarlem sodden with curves, tunnels, and of course traffic lights. The bus, measuring 39.4 feet, glided with an upper limit of 43 mph on an open road. It didn’t require any need to operate the gas or brake pedals although the human pilot remained in place at all time. The second test date of the bus is not revealed by the automakers yet we are already looking forward to it.